Essential oils have become increasingly popular over the past couple of years. Fans praise them for smelling so amazingly while also packing in naturally antibacterial benefits. The latter quality makes essential oils ideal for green, homemade cleaning recipes. While EOs sold by certain brands can be very expensive, you can always opt for more affordable essential oils. Today we help you find ten such products that you can use to green your cleaning routine. Whether you want to improve the smell of your laundry in a natural way, sanitize your kitchen or nix the mold in the bathroom, essential oils can do all that without the scary fumes. While you can freely add tea tree, lemon and lavender to most natural cleaning recipes, we want to broaden your horizons to include many others. Before we share our ten affordable essential oils for cleaning, here are some suggestions for cleaning with EOs. The list below reflects our preferences in the matter of essential oils used in green cleaning. However, if you don’t have certain oils on hand, you can absolutely swap them out or substitute your favorite. Just keep in mind that the most powerful essential oils for cleaning are wild orange, lemon, lime, eucalyptus, thyme, peppermint, lavender, cinnamon, melaleuca (tea tree), and rosemary. Feel free to mix and experiment as you wish! 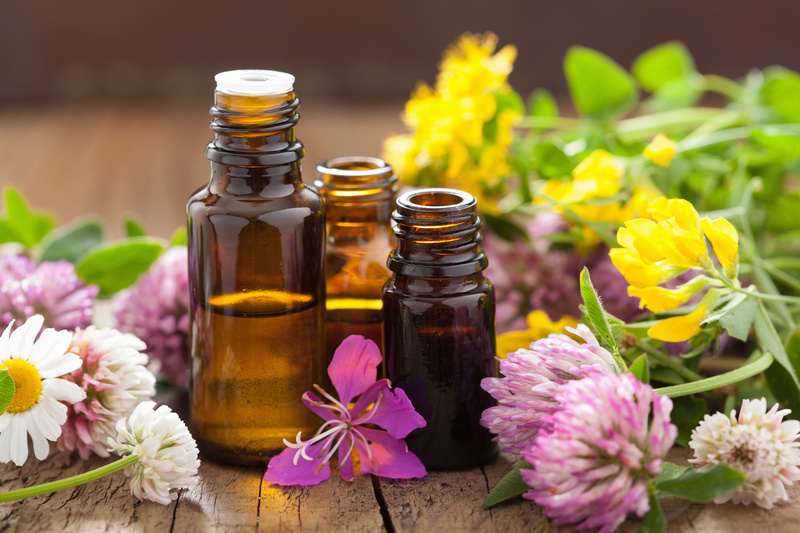 As a general tip, essential oil mixes should be preserved in glass bottles or containers. Due to their high concentration, these substances can degrade plastic. However, when it comes to mixing or storing your EO cleaning recipes, regular plastic spray bottles are just fine. Because the mixtures are usually quite diluted, they will not cause damage to the containers. Essential oils have health benefits in addition to cleaning powers. Peppermint oil, for instance, can alleviate mild headaches. Diffuse it or just take a couple of sniffs right out of the bottle. For tension headaches, we recommend diluting the oil and rubbing it on your temples. They’re also great for making homemade beauty products. Whether you’re making your own lotions, chapsticks, or face creams, essential oils can bring some lovely scents to the table. And if you’re skeptic about the aromatherapy effects of essential oils, simply use them to make your home smell good. You might find out you prefer essential oils over candles. Use a diffuser for a sustained aroma all throughout your house. Lemon oil is the powerhouse of homemade cleaning recipes. Extremely beloved among EO fans, lemon oil has a light, clean scent, as well as naturally antibacterial and antiviral benefits. Lemon works best for degreasing persistent stains and freshening the air. Pour some drops on a paper towel and place it in the fridge to deodorize it. Or combine 10 drops of lemon oil with 1/2 cup olive oil to clean the floor or polish wood and leather. Tea tree can do anything. It fights bacteria, germs, and viruses, so just apply it on hand soap, homemade wipes, and shower sprays. If you’re looking for an efficient weapon against bugs, take a spray bottle and mix tea tree with water. Shake well and use it inside and outside the house to dissuade lice and other pests. Rosemary has natural antiseptic and antibacterial properties that make it a terrific addition to homemade laundry detergent and dish soap. Rosemary essential oil is perfect for air freshener sprays, and the combination with peppermint brings out the best in both products. Diffuse this mix when you need to increase your focused and stay on task. It’s one of the happiest, brightest scents out there, but it also shares some common properties with lemon. It’s amazing in the fight against grease; simply use 1-2 drops to remove grease or glue from all kinds of surfaces. Need something strong to wipe down dirty counters and stovetops? Combine 12 drops of wild orange with 1/4 cup castile soap and water. You can use orange oil in many other ways, including homemade floor cleaner, natural fabric softener crystals, and invigorating kitchen sprays. Lavender is one of the best-smelling antibacterial essential oils out there. It also pairs well with vinegar, another common natural cleaner. Add 4-5 drops of lavender to your vinegar cleaner and enjoy the scent and the natural antibacterial properties. You can also use lavender’s relaxing scent in linen spray and homemade dish soap to make your dish washing and laundry day better! A natural germicide, eucalyptus oil is a strong enemy of dust mite. Combine it with baking soda for a deep cleaning of your mattress or a dry wash for stuffed animals. If you just want to enjoy its clean smell, use a few drops in your wash cycles. Eucalyptus is also great for refreshing stinky kitchens or bathrooms. And if you’re fighting pests, place eucalyptus leaves and essential oil drop in the problematic areas. Peppermint oil has hundreds of uses around the household. Its invigorating scent and antibacterial benefits make it a great natural ingredient for natural deodorant sprays and spray cleaners. Peppermint keeps the air fresh while also deterring ants and spiders. Simply mix 10-15 drops of peppermint EO with 1 cup of water and shake it well in a spray bottle. Spray along crevices and cracks or wherever you see ants. Cinnamon is a natural antibacterial and antiseptic essential oil. It fights mold efficiently and it’s a great ingredient for natural mold and mildew spray. Cinnamon essential oil is as effective as ground cinnamon in deterring pests. Use a cotton swab to apply undiluted cinnamon EO to the problem areas or sprinkle the ground cinnamon where you see the pests crawling. Even though it’s used in commercial cleaners, too, pine is at its best when used in its concentrated state. It kills E.coli, yeast spores, and other common household germs. Pine is perfect for getting rid of mold and mildew in the bathroom, as well as cleaning hard floors. It also leaves a natural fresh scent behind. One of the strongest essential oils against germs, thyme is quickly gaining traction among EO fans. Because it is effective against salmonella, you can add thyme oil to your homemade dish soap. It’s highly effective when used to clean cutting boards that have been used to cut raw meat.